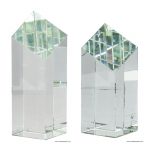 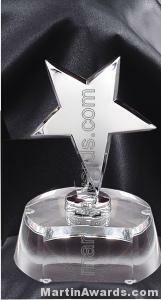 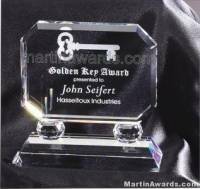 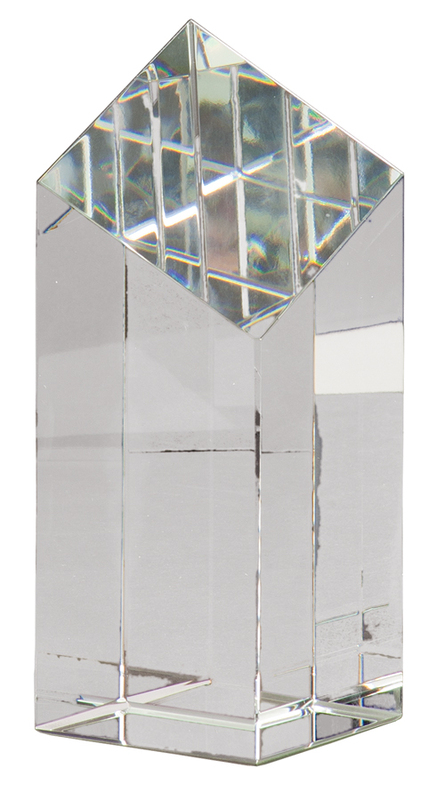 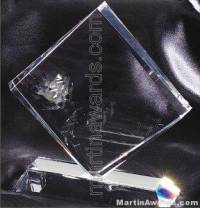 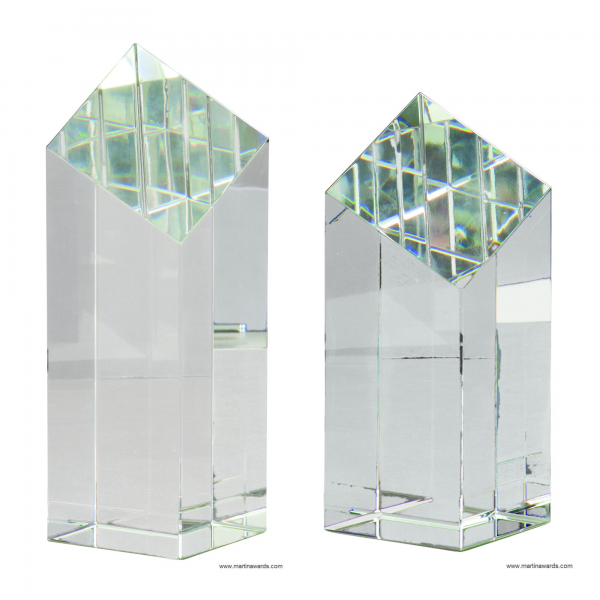 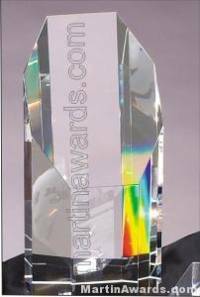 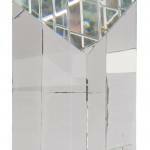 This beautiful prism optical crystal diamond-face pillar award has a large area plenty engraving. 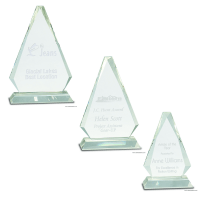 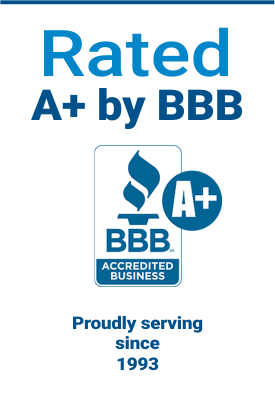 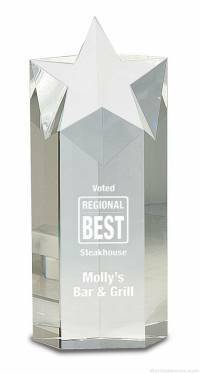 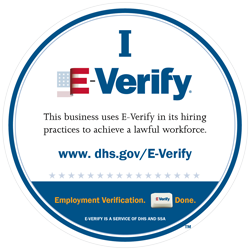 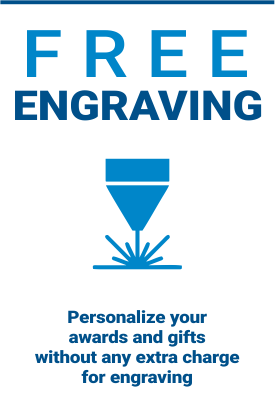 This award has a thick free-standing feature and gorgeous reflecting colors that accentuate your message. 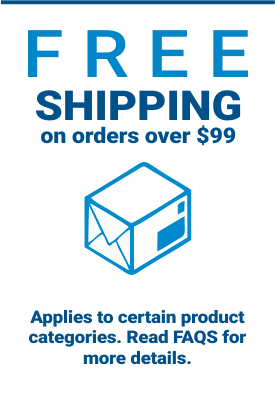 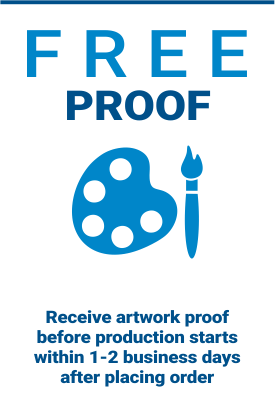 3.25" x 6", 3.25" x 7"